How do you make a great artist? One year ago, Berlin’s Martin-Gropius-Bau museum and New York’s Museum of Modern Art staged a massive exhibition of the Bauhaus school of Weimar, Germany. Bauhaus was rooted in daily life, the fusion of high and applied arts. The exhibition was arranged much like the school itself — playfully and with much experimentation. It may have opened with Johannes Itten’s stunning “The Fire Tower” sculpture, but it also explored the education process that brought things such as “The Fire Tower” to life, the building blocks of art and the often messy learning process. 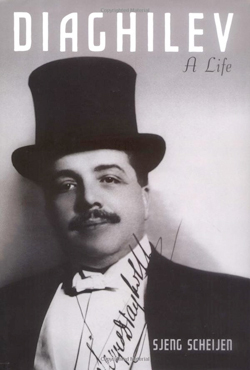 Diaghilev: A Life by Sjeng Scheijen. 560 pages. Oxford University Press. $39.95.